One of my favorite woman architects is Zaha Hadid. She wowed me with her new Eli and Edythe Broad Art Musuem design, an amazingly steel-pleated building for the Michigan State University. 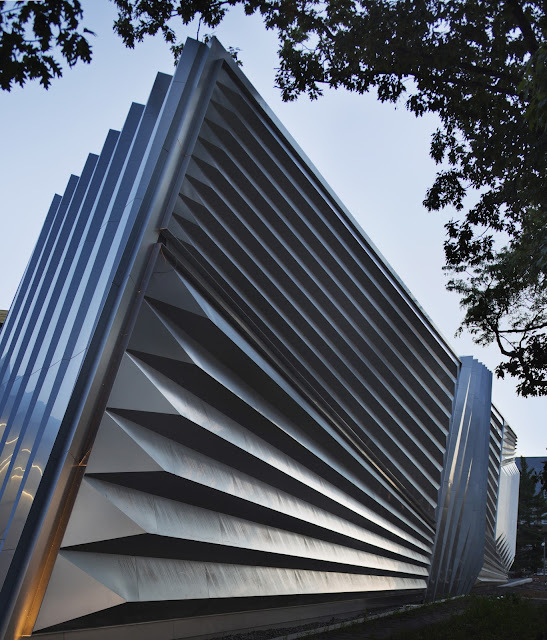 I love everything about this design - its scale, its proportion, its exterior folding and geometric consistency, its open flow to showcase its contemporary art collection and how spaces explode with light due to its angled projections. Its due to open this weekend on Michigan State University's campus , November 10th! 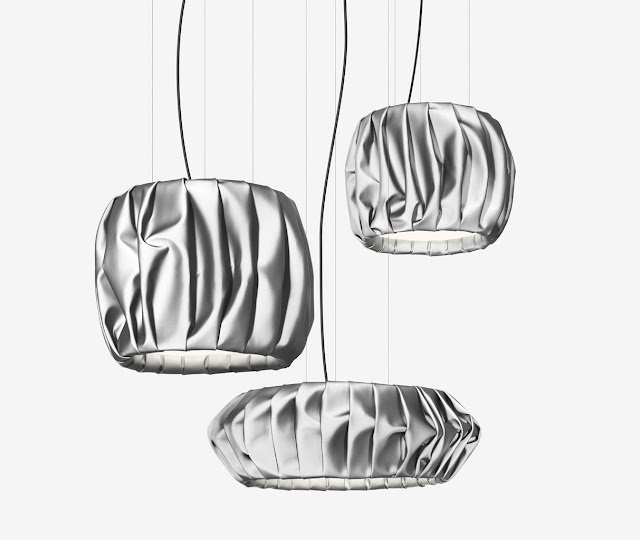 Designers Fredrik Färg and Emma Blanche from Zero show us Moon, with it beautiful folded reflex fabric. Zero lighting add, "the experience of Moon is as enchanting as the one in the sky: the light that surrounds it is reflected on the surface like the rays of the sun when they meet the moon. The effect is reminiscent of a captivating hologram. The viewer’s curiosity forms an interaction: you move around Moon like a satellite that registers whenever the light hits the surface, when the magic reaches its apogee." 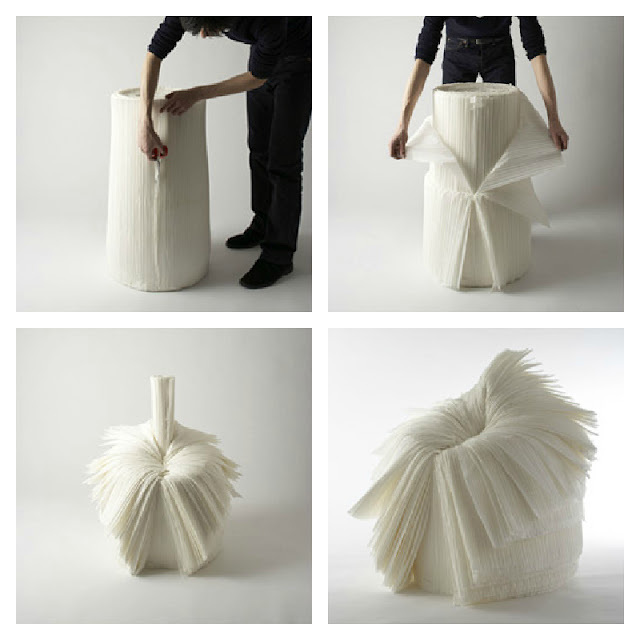 Designers Nendo designed the Cabbage chair out of waster paper from the pleated paper textile industry. The chair literally sheds its skin. Nendo adds, " the design is in response to fabrication, distribution costs and environmental concerns that face the 21st century man." Architects and designers Stephanie Forsythe and Todd MacAllen of molo design demonstrate how flexible honeycomb paper partitions can redefine space. 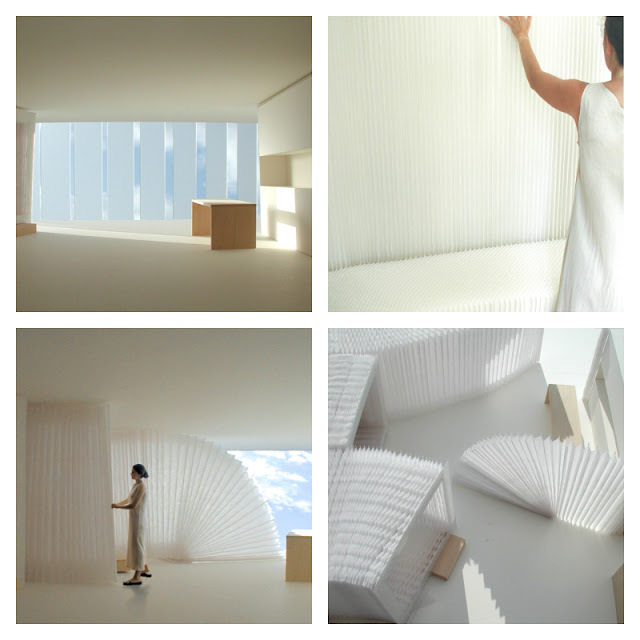 Like an accordian, their soft pleating walls spontaneously unfold giving people the freedom to re-shape their homes, their work spaces and retail environments. Learn more about their work in my Spotlight interview with Stephanie and Todd. Very futuristic indeed! And, I loved your take on pleats from all angles.